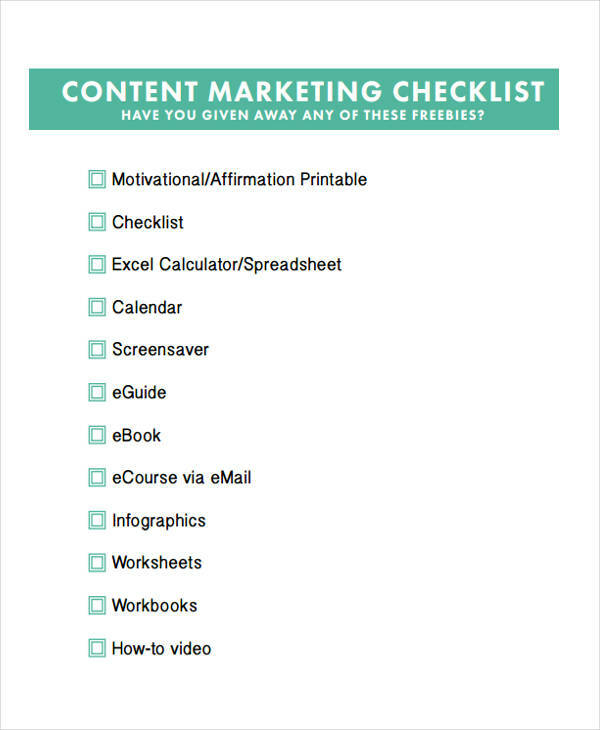 Every business owner knows how important marketing checklist is. In fact, all of them have a go-to checklist where they can just tick off each item and verify that those items have been recorded to successfully improve the marketing strategies needed to make their business successful and reach new heights. 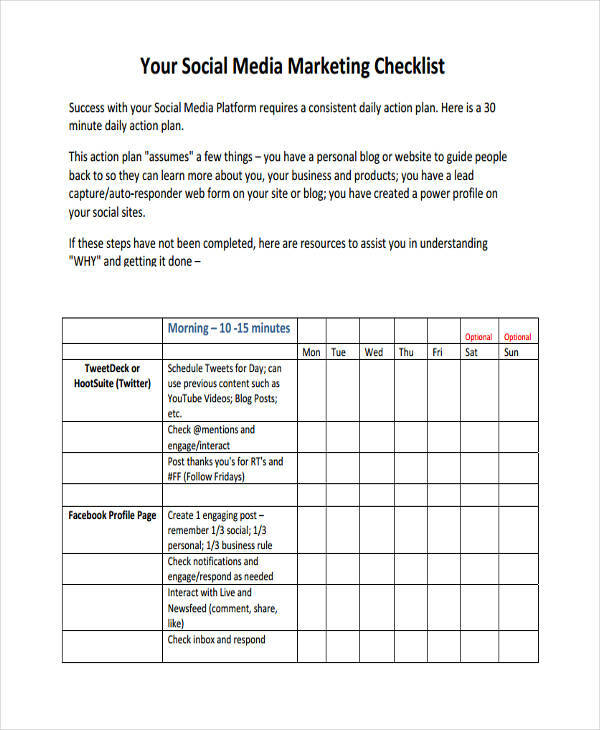 A marketing checklist is a fundamental tool that helps business owners to manage, control and to accomplish their complex marketing strategies, including the social media marketing and content marketing. 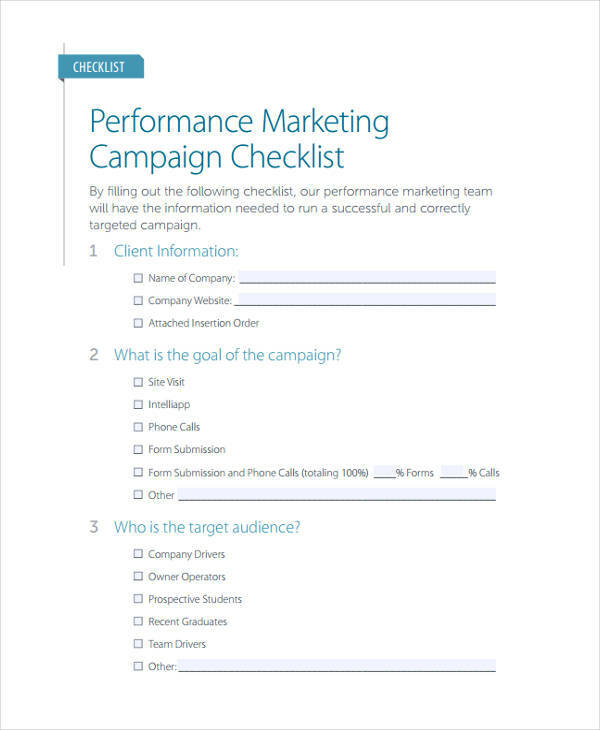 To help you out how you can maximize your marketing checklist for your company, you can check out our checklist examples in excel and checklist tips below. 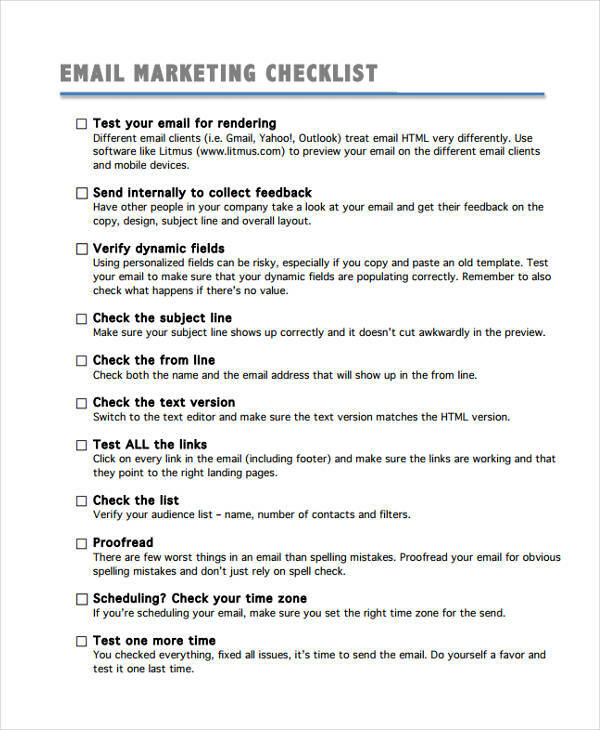 What Is a Marketing Checklist? 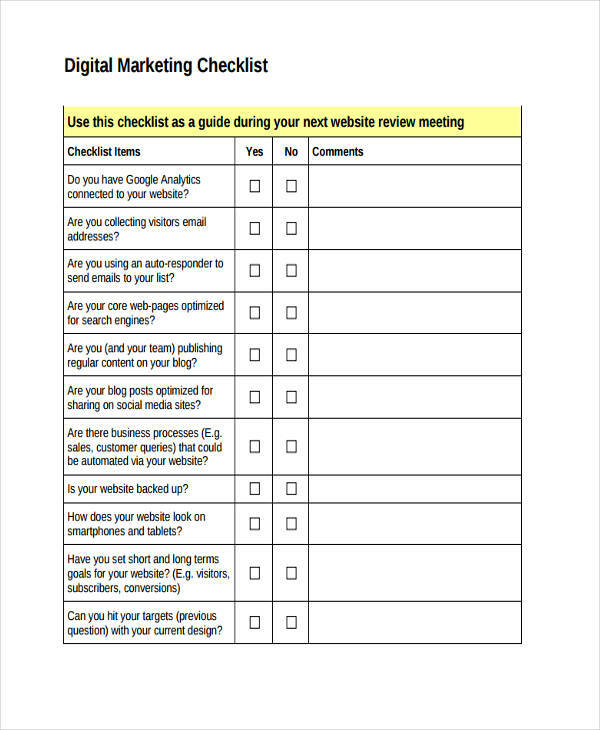 A marketing checklist is a useful tool to determine and identify a comprehensive and wide range of marketing strategies and tactics used in almost marketing plan. 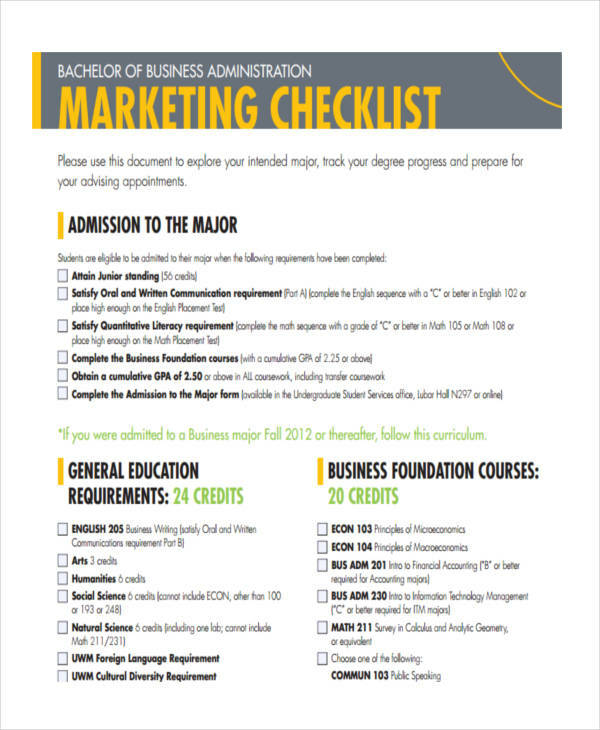 This checklist is based on business-to-business marketing scenario that projects a functional and detailed strategic plan for marketing. 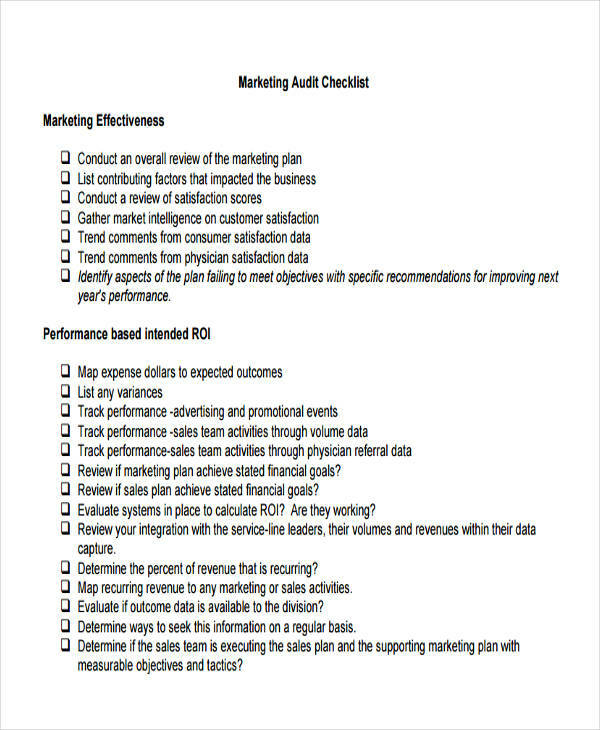 A marketing checklist allows a range of marketing scenarios that has complexity, budget, and requirements. This different markets and products require vastly different marketing strategies and tactics. To remind business owners of what issues and problems should be considered when developing a marketing strategy. To improve the marketing activities that has already been giving good results to your business. To analyze problem statement and opportunities to help you grow your business. To assist you in sustaining the essentials of your target market effectively, efficiently and profitability. To provides answers to the question about your business and the concept involved. 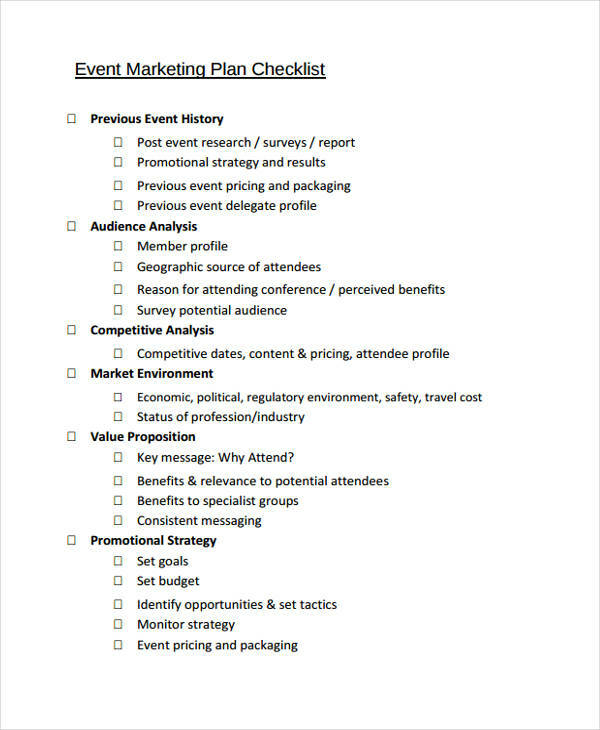 Preparing a marketing plan checklist helps you describe your marketing and researching customers. And it also guides you in developing sales forecast and budgets. 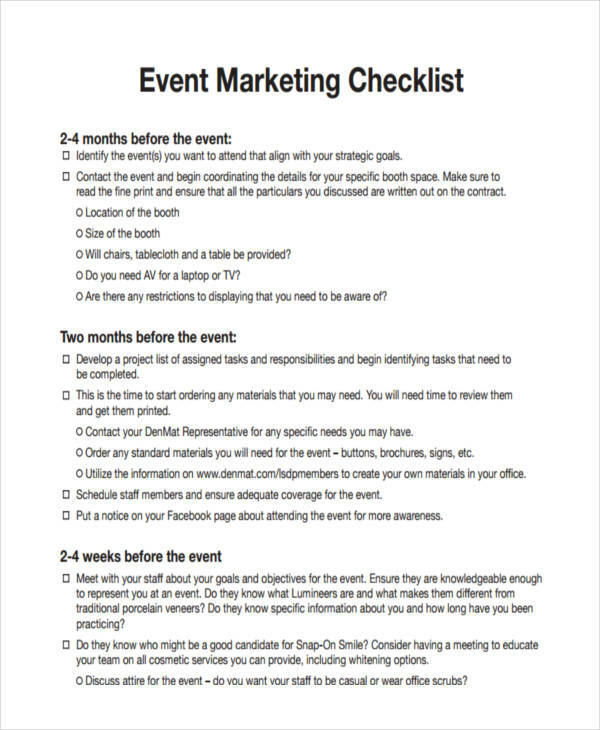 Consider these tips in preparing a marketing plan checklist. Research about customer value, such as quality customer service and product features. Determine what are the characteristics of your market and how it can affect the market trends. Evaluate your marketing profitability of different customers and market segments. Review the past performances that are effective in marketing initiatives. Including advertising campaign and sales. Identify key factors that influence your marketing plans, Use SWOT analysis (strengths, weaknesses, opportunities, threats) for further analysis. Identify your competitor and find out what are they offering. Present target among both existing and new customers and determine which product or services to push. Analyze the distribution channels for reaching the potential customers. Set specific objectives for your strategic plan in marketing. For example, increasing sales, winning a new customer, or improving marketing plan. Decide how will you price your product or service and how will you plan to promote and advertise your product and service to the customers. Or you can browse and download our printable checklist examples provided in this article.